This top was finished around the beginning of January. I even just realised that I never shared a finished photo for this top on any social media. I have had this post started since then and was intending to share it all together then work started up again. 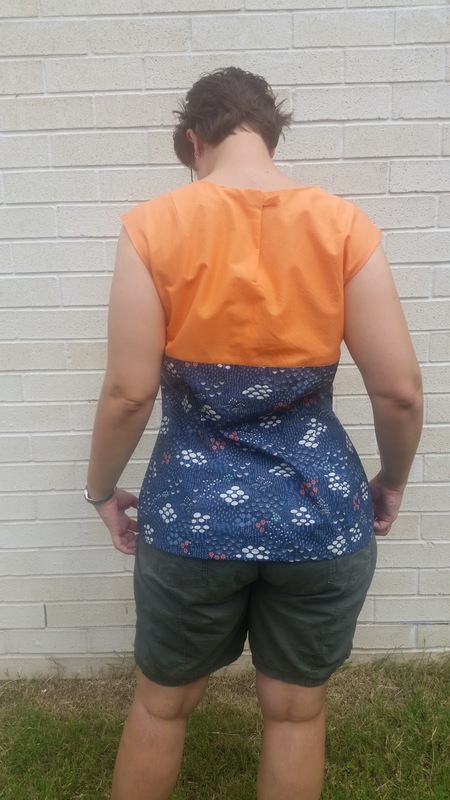 Without Further ado, here is my Lekala blouse 4109. I'm flying along with sewing projects. This top has been on my mind since I finished my skirt and I knew I had so much excess fabric. I had been drawing ideas of a top I was thinking about drafting and then I was browsing and found this blouse by lekala 4109. I knew it was perfect. 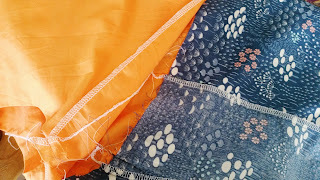 I could use both the orange and blue fabric on the main top and with the princess seams I was hoping it would sit nicely on my body and suit my waist. If I am to be honest the blouse does pull a bit around the yoke but not badly so. I don't know enough about sewing to know what adjustments to make to ease that across the front. The back is definitely not pulling. It isn't pulling enough for me to be concerned either and it is still very comfortable. The orange lawn is see through so I knew I wanted to make the top bodice fully lined and when I downloaded the pattern and saw it had facings I knew I wouldn't need them. I read the instructions a couple of times and was confused from the start so I decided to make it the way I thought it should be made. 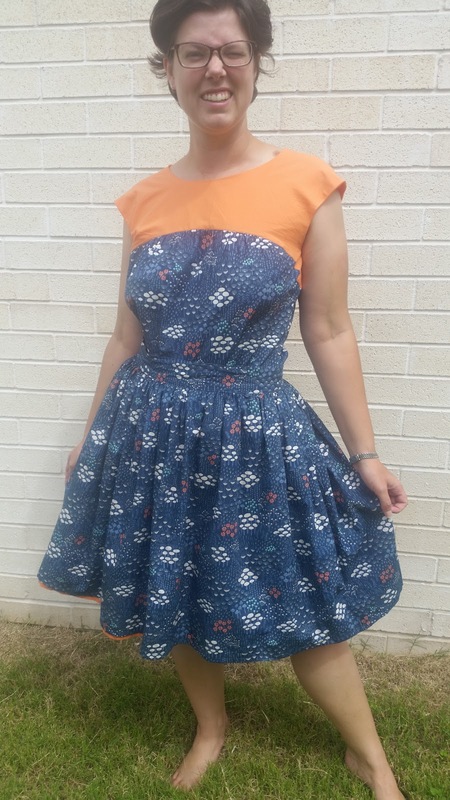 If you are a beginner sewer I really really really don't recommend lekala patterns. They are suited to your measurements but the instructions leave a lot to be desired. If you know what you're looking at you can make some beautiful outfits. I had to be careful when laying out the pieces that they were all lined up the right way. I didn't want them to be the opposite to the skirt. I wanted to be able to wear this whole outfit as a dress when I want. 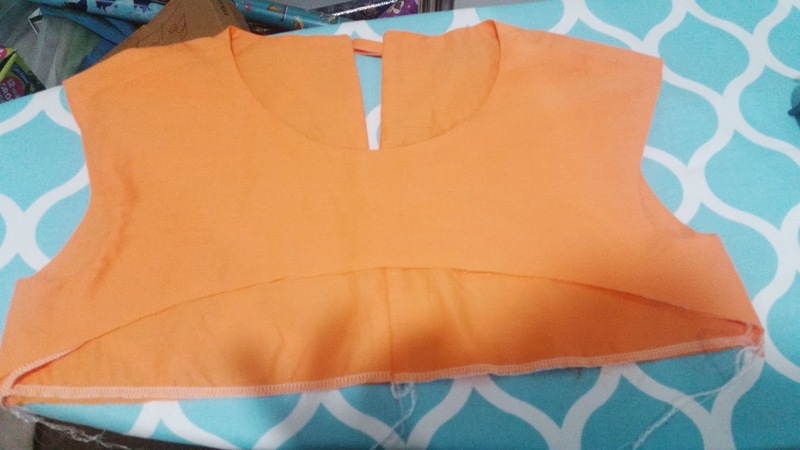 I started with my yoke bodice and sewed it together and then sewed the lining to the bodice at the neck and armholes.... at this point when I tried to turn it I realised I should have left the side seams unpicked as well and so in I got and unpicked them. 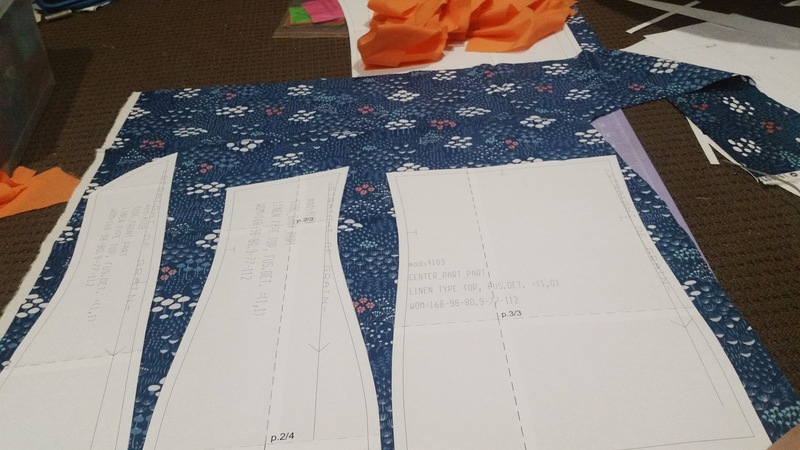 Then I could turn the bodice and sew the side seams. I then carefully ironed the bodice so it sat neatly. 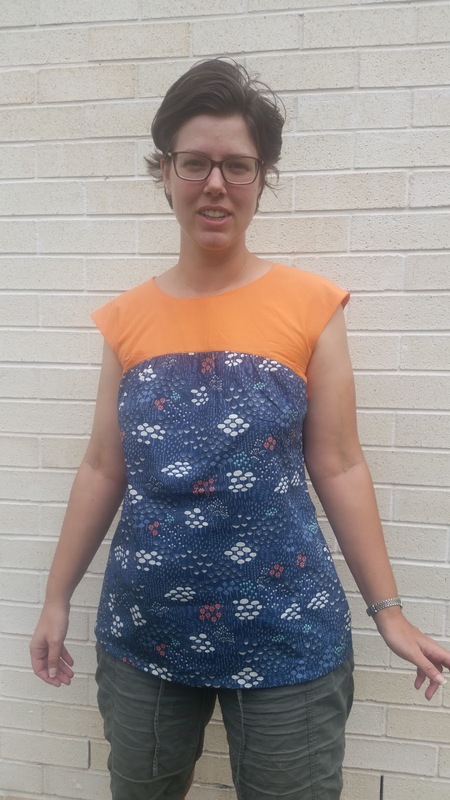 I then sewed all the blue panels together.and then sewed it onto the bodice. I did have to do a light gathering at the front of the top but I expected that from the technical drawing. I made sure I finished all the seams neatly with my overlocker. Even this one hiding under the lining got finished after this photo. I will leave you with one more photo of this top. I have styled it with the skirt here. Forgive the squinting look as the light was really bright outside I could barely see. I think it makes an awesome dress but also looks really nice paired with a pair of slacks or jeans. Now since this was made in January I can safely say that it has been in rotation with and without the skirt at least once every 2 weeks. it just makes me happy to wear it. I need lots of outfits like this that are very versatile and I can wear a variety of ways.